Free shipping. Buy direct from HP. 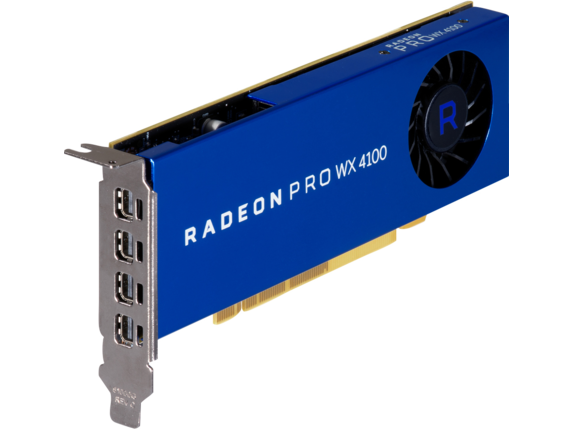 See customer reviews and comparisons for the AMD Radeon Pro WX 4100 4GB Graphics Card PROMO. Upgrades and savings on select products. Tackle your graphics and arithmetic workflows in parallel with the AMD Radeon™ Pro WX 4100, a super-fast, low-profile graphics card based on AMD’s new Polaris architecture. Speed up single-precision video effects and rendering, signal processing, transcoding, and digital rendering applications with up to 2.4 TFLOPS of compute performance. Perform color-critical tasks with native support for 10 bits per color channel. 1 Performance may vary based on system configuration.